Which Tallahassee School Zones Are Leading Home Appreciation In 2018? When we work with somebody to buy a home in Tallahassee, invariably the buyers want a specific school zone if they have school aged children. There are numerous websites (including ours) that feature school ranking reports nestled among the home search tools, but nobody ever correlates home value changes by school zone. In a recent article, I analyzed each Tallahassee zip code to find out home appreciation rates and was able to demonstrate that real estate appeciation is happening differently (and surprisingly so) across the Tallahassee housing market (you can see that article here). As a reminder, it is very easy to shop homes for sale in a specific school zone, we have created THIS PAGE that you can use to find home listings sorted by school zone and it is updated every 15 minutes to bring you the most accurate listings in Tallahassee. Today, we'll segment the market by high school zones, middle school zones, and elementary school zones to see which areas are appreciating the fastest. As we found among the zip codes, the results might surprise you. When we look at how each high school zone is appreciating, it is immediately apparent that all high schools are doing well. Even though the year is not 2/3rds completed, all are at rates that meet or exceed DOUBLE the typical annual appreciation rate of 3% to 3.5%. The only surprising result I find in this graph is that the Leon High School zone is trailing all others. At first blush, this might not make sense to those of our readers who closely monitor the Tallahassee real estate market. But there is a segment of the market that is easy to overlook, and it is one where nearly 100% of the property owners DO NOT CARE at all about school zones. Can you guess which properties these are? The downtown condos are still glutted, and they happen to fall into the Leon High School zone, but I have not come across buyers with school age children that are looking for a 2 BR condo in the Plaza Tower :). Unfortunately, declining values in the downtown condos are impacting the Leon High School zone results, and without them we would be seeing figures consistent with the rest of the schools. Regardless, all five high school zones are reporting significant real estate appreciation in 2018. When we look at how each middle school zone is appreciating, we find a wider range of results. The Nims and Ft. Braden Schools are leading all others this year with appreciation rates that exceed 16% through mid August! Wow! When we look at the appreciation graph above, Cobb Middle School immediately jumps out as far lower than the rest of the schools. So why are homes in the Cobb Middle School zone doing so poorly? Well, those same downtown condos also fall into this zone, and because there are more middle schools than high schools, their territories are smaller and the downtown condos are having a more significant impact here. If you own a single family home in the Cobb Middle School zone, you'll be happy to know that you are doing much better than what this is showing. When we look at how each elementary school zone is appreciating, we again find even a larger dispersion of results. There are even more elementary schools than middle schools, so under-performing (and over-performing) areas are going to impact these schools zones moreso than they do the larger high school zones that are comprised of larger areas. Woodville Elementary is recording a staggering 25.8% increase in value thus far in 2018 when compared to 2017, but you need to take this with a grain of salt. There were only 29 sales reported in the MLS in this school zone last year, and 28 thus far in 2018. With numbers this small, it is very easy for a few outliers to skew the results. But +25.8% is not bad news! The two elementary schools that likely got your attention right away are the ones that are showing declining values in 2018 ... Brevard Elementary and Sabal Palm Elementary. There were only 13 sales reported in the MLS in Brevard Elementary School zone last year, and 17 thus far in 2018. Again, with numbers this small, it is very easy for a few outliers to skew the results. But -13.9% is not good news! There were enough sales in the Sabal Palm Elementary School zone both this year and last that the results should be seen as reasonably accurate. Fortunately, in a similar situation as we described above for the large downtown condos, there is so much college student housing that exists in the Sable Palm school zone that it negatively impacts the values (student rental type of properties face increased competition due to the addition of multi-family developments near the Universities). After reviewing the differing rates of appreciation seen by different school zones, I hope our readers recognize that there might be opportunities to be found among the under-performing areas. 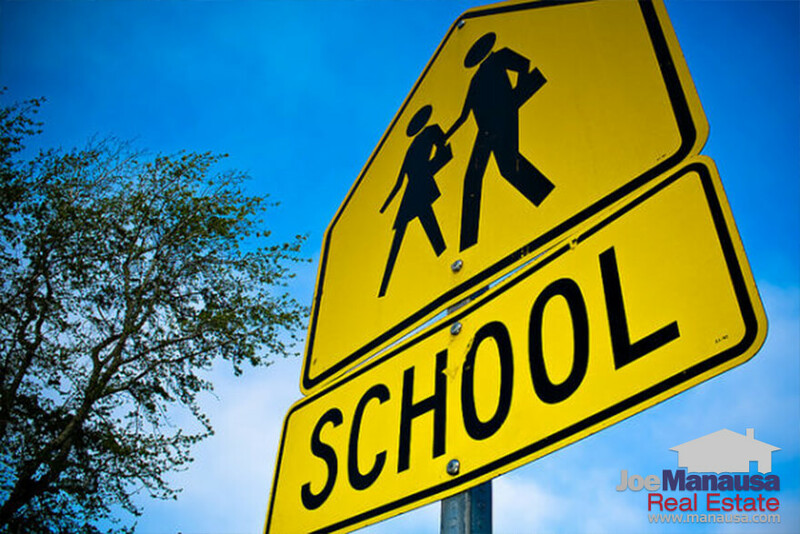 If you are looking to buy a home and want to be in a specific school zone because you have school-aged children, then by all means use school zones to target your selections. But don't limit your opportunities by making school zones important if you don't have school aged children (or if you plan to send your children to private schools). The argument that you want "good school zones" for when you sell your home is ill-founded. You will pay a premium to get a home in a perceived good school zone, and you'll collect a premium when you sell it (if the school zone is still perceived as good). But if you buy a home in a perceived "not as good" school zone, you'll get a discount. When it comes time to sell, you might have to give the same discount, but the upside potential of the school zone exists for you to gain a premium. In other words, you'll pay more and then get more if you buy in a "good" school zone, but you'll pay less and get less if you buy in a less than good school zone. The latter has far more upside potential, plus lower ownership costs, and is the clear smart decision if you are only considering the economics of the transaction. Something tells us you’re just … well … smarter than most people looking to buy a home. A systematic, simple process to use modern technology to help you find the right home, at the right price. A clear tutorial approach to the “Manausa method” of making sure that you see ALL of the homes that fit your needs without exposing yourself to the serious mistakes that many homebuyers make. A sure-fire way to win the negotiation ... don't let a weak agent allow you to miss out on the home of your dreams! Home Buying For Smart People is a free multi-part course and ongoing email newsletter. Join the thousands of other "smart people" who saved thousands of dollars when buying a home in a careful and prepared manner. 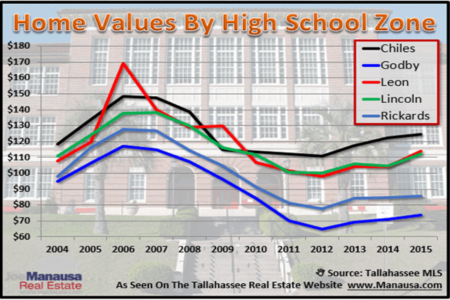 Do Tallahassee School Zones Have An Impact On The Rate Of The Real Estate Recovery?